Dr. Joop Lensink wrote books about his life and work in Africa. It is with great sadness having to report that good old friend dr. Joop Lensink has passed away on Good Friday 2018. Another colourful man with a heart for people in need has gone, but not in spirit. 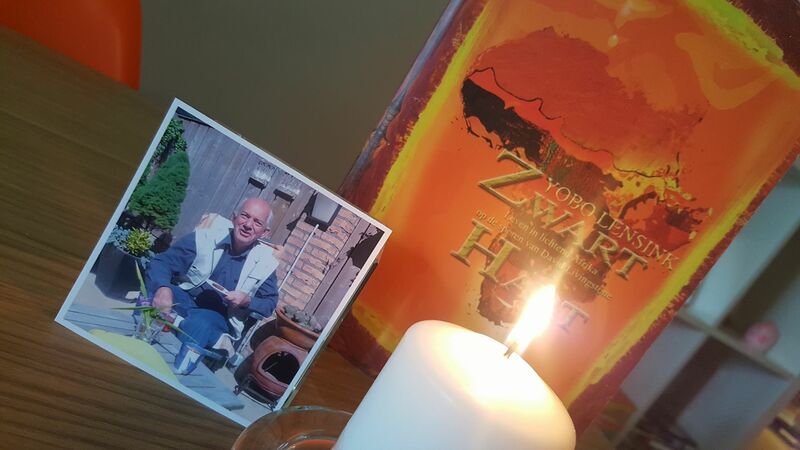 His nearest and dearest and those who have met him will go on remembering him. 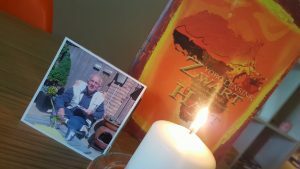 Since early 2000, Janny and husband Jaap met old friends and relatives in South Africa, at times in the company of South African Rev. Louis Krüger. Who would have thought that in 2012 it would be the last journey they had together. As it is, Janny went down to memory lane to meet old friends in 2015. She has talked to Mr. Patrick who manages one of the projects. Joop Lensink supervised. Jaap (RIP) was a fundraiser for these projects. Nurse Sibungili and Mr. Patrick (former sales manager of Nestlé) know that progress is made slowly but surely. These two friends set the example of strong people who collaborate to help others to help themselves. themselves. PREVIOUS actions of the Drag Anchor decorated Janny (please read elsewhere on this site for a further explanation) still go on. She still supports the idea of making the statue in a dedication to the Unknown Docker reality. The idea of materialising the statue Unknown Docker – made by Sandy Warnaar – is supported by Chief Marketing Officer Mai Elmar and other top brass in Rotterdam. It is on ongoing process. Janny has also embarked projects in her own home suburb Vreewijk; the oldest but one Garden City look-alike in the Netherlands. Wikipedia tells us that the Garden city, is the idea of a planned residential community, as devised by the English town planner Ebenezer Howard and promoted by him in Tomorrow: A Peaceful Path to Social Reform (1898). Howard’s plan for garden cities was a response to the need for improvement in the quality of urban life, which had become marred by overcrowding and congestion due to uncontrolled growth since the Industrial Revolution. Letchworth was the first garden city build in England. 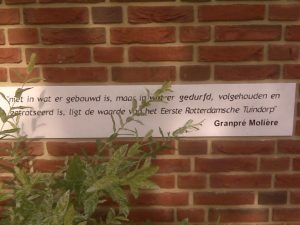 Plaques on some houses in Tuindorp Vreewijk refer to the idea of the innovative English town planner. 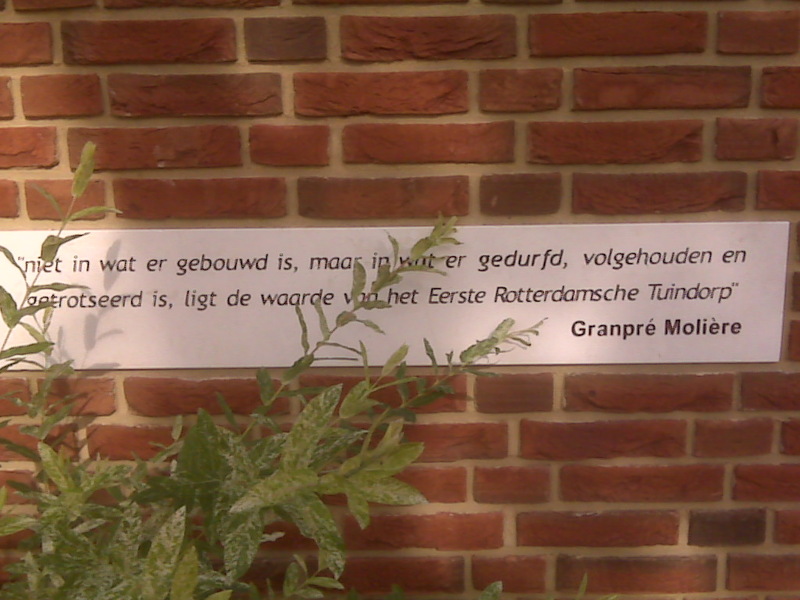 His Dutch counterparts were Dutch architects Grandpré Moliere, Kok, Verhagen and others, supporter by K.P. van der Mandele, chairman of the Rotterdam Chamber of Commerce. As it is, inhabitants of Vreewijk have to be kept aware of the specific characteristics of the district they live in. As it is, the monumental Rotterdam district is in danger to deteriorate if no efforts are done to keep up the green character of Vreewijk, safety, and well-being. It needs all inhabitants, the social housing corporation, and the municipality to make that happen for today and in the future. That is why establishing a Taskforce Vreewijk is advocated in an effort to consider what needs to be done and act accordingly. 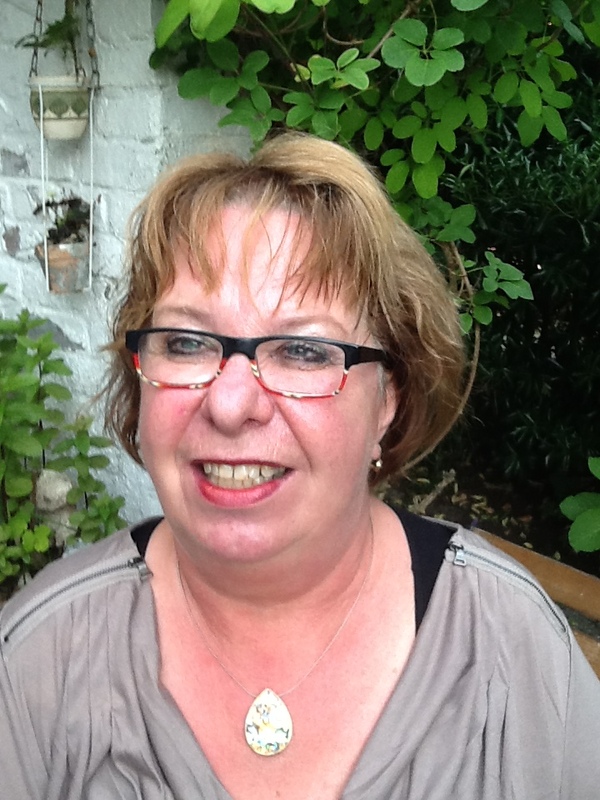 Some years ago Janny Kok joined another campaign in Vreewijk to safeguard the existence of the characteristic venue Het Witte Paard. At the time, hospitality entrepreneurs Daan and Mirjam Kint were brave enough to move their Mediterranean restaurant RoosMarijn to the Het Witte Paard refurbished the building. Connoisseurs living in Vreewijk are happy to have RoosMarijn in Het Witte Paard and cultural events in its small theatre so close at home. Please go to www.roos-marijn.nl for further and better particulars.